You'll see more of Katie Elfer's work in the board below (can you tell I'm a fan???). 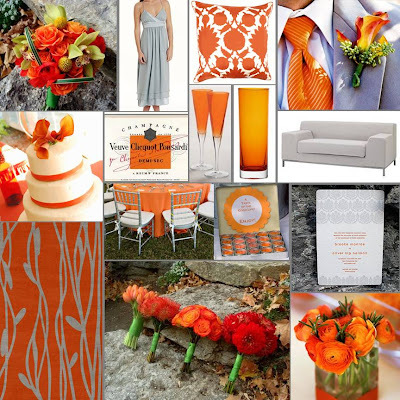 Orange and gray is one of my favorite color combinations, but it took some time to really come up with a board I loved. I'm giddy that one of my favorite champagne labels fit into the board perfectly.